Look out Verizon, AT&T, and T-Mobile, there’s a new carrier in town. 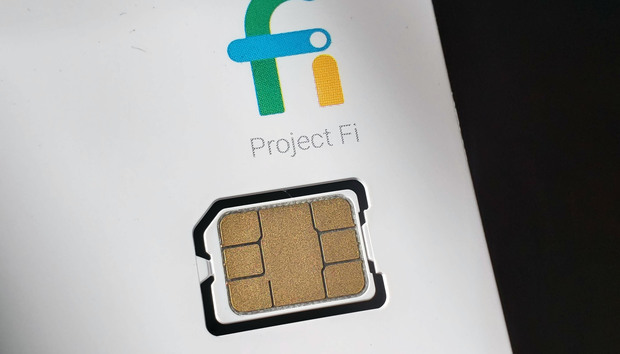 Google is opening up its Project Fi nationwide wireless service to way more phones, including the hottest iPhones, Galaxy phones, and GSM-only Android phones of the year. But, sadly, you won’t be getting the full Fi experience. To mark the expansion, Google has renamed the service to Google Fi (or just Fi for short), because it’s no longer a project. It’s now a real-deal network, using three mobile 4G LTE networks and more than two million secure Wi-Fi hotspots to create a blanket of coverage. Where the service was previously limited to a handful of handsets designed for Fi—namely Pixels, the Moto G6, and a couple LG ThinQ phones—the new service expands availability to phones made by Samsung, Huawei, Nokia, Essential, Apple, and others. And it’s not just the newest handsets either—compatibility goes all the way back to the Galaxy S6 and iPhone 5S and SE. Google Fi for iOS is still in beta, so Google warns that not all Fi features will be supported. Most notably, visual voicemail won’t work and you’ll need to update your iPhone’s MMS settings in order to send and receive texts with non-iPhones. iMessage works out of the box, however, according to Google. 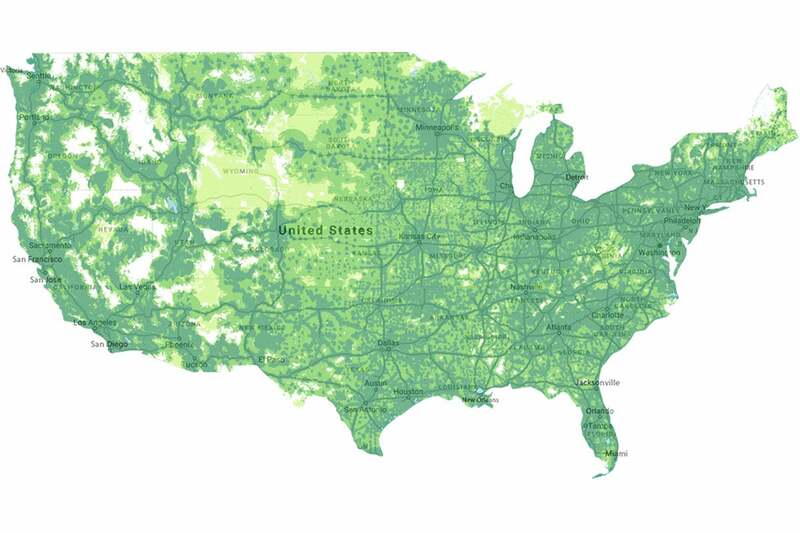 Green means go on Google Fi’s coverage map. But that’s a small price to pay for Fi compatibility. And speaking of small prices, Google Fi is based on a pay-as-you-go model, so your bill might go down significantly. Google charges $20 for unlimited calls and texts, and $1 per 100 megabytes (or $10 per gig) for data. So if you only use 2.6GB one month, your bill will be $46 (plus taxes and fees). And the maximum you’ll pay is $80 a month, as Google caps the data fees at $60 or 6GB. If you go above 15GB, however, your speeds will be throttled unless you agree to pay $10 for each gigabyte over 15. However, the newly compatible phones won’t be getting the full Fi experience. While handsets designed for Fi get cellular coverage across T-Mobile, Sprint, and U.S. Cellular and Wi-Fi hotspots, Fi-compatible phones will only have nationwide access to T-Mobile’s network, as the phone won’t be able to switch between the networks and hotspots. So if you’re using more than 6GB of data per month, going directly though T-Mobile is probably the better deal, as the carrier charges just $70 per month for unlimited service, including taxes and fees. With Google Fi, the same data will cost you more than $90 with taxes and fees. However, Google Fi seems to support way more phones. A quick spot check of models and carriers showed a large number of Verizon phones ready to support Google Fi. But if you sip megabytes and hate paying for data you don’t use, Google Fi is worth consideration for your iPhone or Galaxy phone.